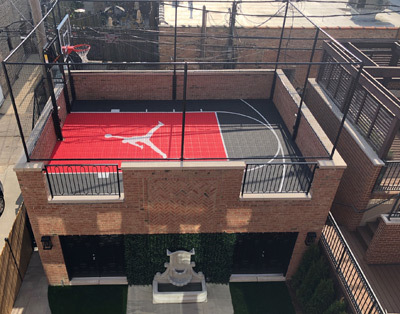 Refine your skills with a custom basketball court design with Supreme Sports of Chicago. We install flooring for many sports with ergonomic tiles created for athletic excellence. Supreme Sports can help you create the ultimate sports experience for training and competitions. From tennis to basketball, pickleball, and volleyball, our experts have installed court surfaces for them all. It’s more affordable than ever to have the games you love right in your backyard or at your athletic facility! 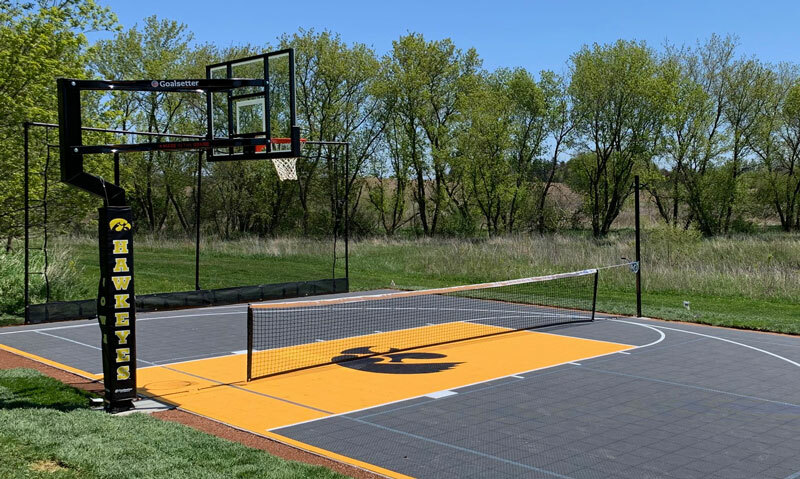 We use sports tiles for basketball and multi-purpose court installations because they improve foot traction and have adequate draining for safety. 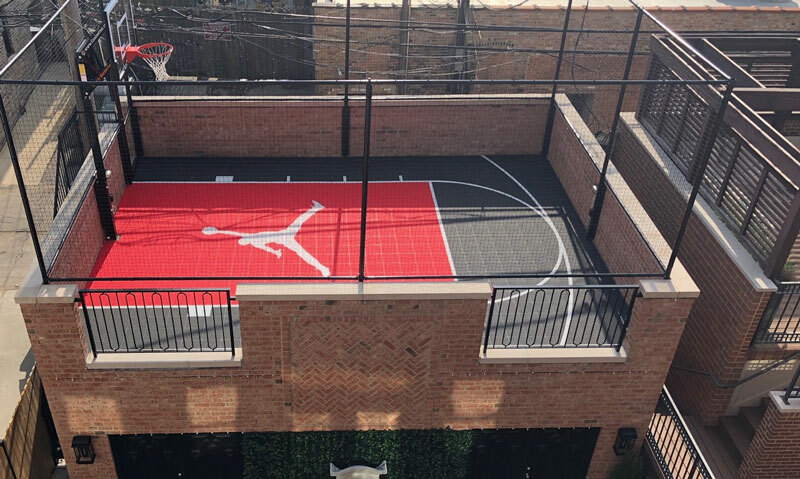 This means no standing water or puddles on the court. The tiles can even be laid on existing courts for a more affordable resurfacing project! Our experts build many regulation-sized pickleball and tennis courts. These are full-sized courts for training and recreational fun at community centers, churches, and other commercial facilities. We also use our low-maintenance sports flooring for those who cannot support a full-size court. Hardwoods are expensive and are hard on the joints. Our heavy-gauge surface structure for indoor gyms is the best performing tile on the market. It is a virtually seamless look that retrofits over existing floors. Available in several colors for a unique surface. 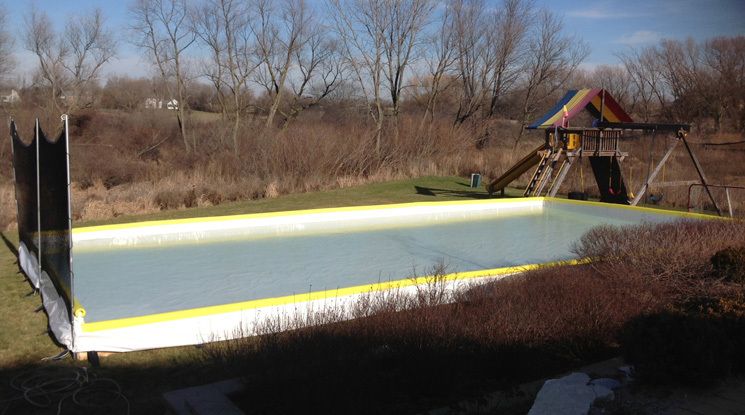 We use NiceRink products to help build reusable backyard ice rinks across metro Chicago and surrounding areas. You won’t believe how affordable it is to have a fun winter activity right in your backyard, and it’s easy to break down and store during the off-season! Best of all – it won’t harm your grass. 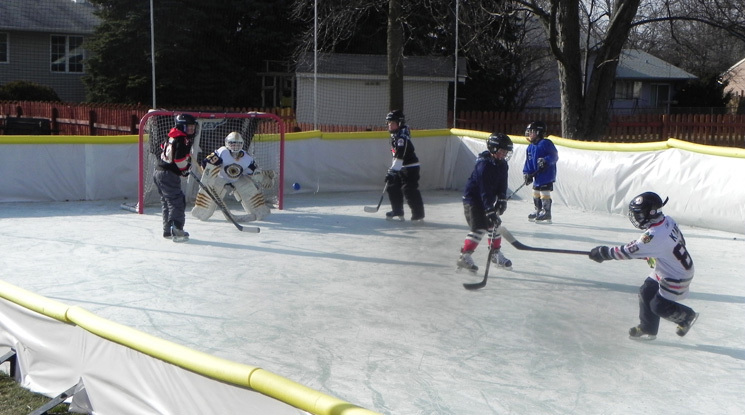 When you want to provide a fun family experience in your backyard or community – Supreme Sports can help. Our experts have decades of experience installing regulation and custom courts in various mediums. We are confident your athletes will love our shock-absorbing sports tiles. You will love how budget-friendly they are for renovating existing courts as well as creating new court spaces. Our design creativity, installation expertise, and unbeatable customer service make a winning combination on all fronts! Contact us today to schedule a free design consultation, so we can help you get your game on! We proudly serve all of Northern Chicagoland and outlying suburbs.